This comprehensive formula features several key nutrients to promote blood and heart health as well as to offer healthy homocysteine support. 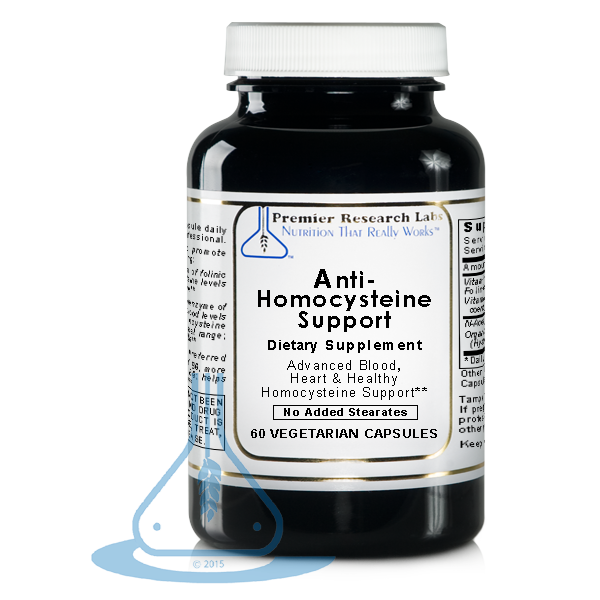 Folinic acid is supplied in the preferred form of folinic acid (as calcium folinate) to help maintain homocysteine levels already within the normal range. The key nutrient, dibencozide, is a fully reacted coenzyme of vitamin B12. It supports healthy blood levels of vitamin B12, helps maintain homocysteine levels already within the normal range, and supports heart and nerve health. Vitamin B6 (p-5-p) is supplied in the superior pyridoxal-5-phosphate form of B6 which is far more bioavailable than ordinary B6 (pyridoxine hydrochloride). It assists in breaking protein into amino acids. L-cysteine acts as a sulfur donor in phase II detoxification and as a methyl donor in the conversion of homocysteine to methionine. N-acetyl-L-cysteine (NAC) is the acetylated form of L-cysteine, a conditionally essential amino acid. NAC is efficiently absorbed and acts as a free radical-scavenging agent that helps increase glutathione at the cellular level. Hyssop is included in this formula for optimal effect.